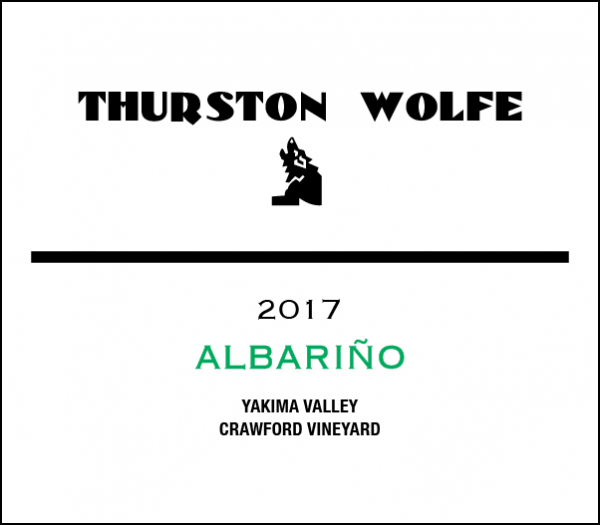 Albariño 2017 – New Release!!! Albariño is the best known of the Spanish white varieties and has recently been planted in Washington State. Our 2017 Albariño is our fourth vintage from the Crawford Vineyard in the Yakima Valley. Harvested in late September, it was stainless fermented to maximize the intense pear and apricot aromas characteristic of this variety. Only 125 cases produced. The Albarino has flavors of lime, pear, apple and grapefruit. Great pairing with a Pork Tenderloin stuffed with Apple and Caramelized Onion. Glazed with a Brandy and apple sauce. Think more on the lines of spicy Asian or seafood to fully capitalize on this amazing wine.